For a true and accurate valuation we take into consideration recent market activity, general condition and location. When you are happy with the price, we are ready to prepare your marketing material. We offer excellent marketing packages which include professional photographs, floorplans, and an Energy Performance Certificate. We identify the unique selling points of your property and promote them in a set of details produced by one of our staff members. Within moments of approving the details and advertisement of your property, we will contact all relevant applicants on our database. 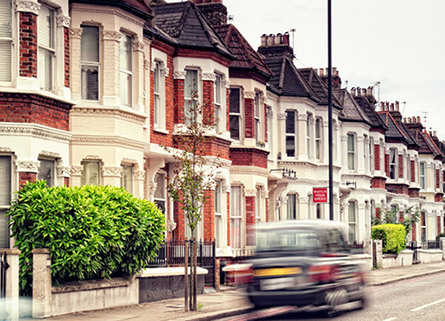 In addition to our office situated in the prime spot in Walthamstow, and our state-of-the art website, we upload to all the major web portals to maximise the marketing of your property. All our negotiators at Wonderlease are fully qualified and have the experience necessary to negotiate high offers for our vendors. Negotiation is an art which, if skilfully performed, will achieve you the maximum price. Once negotiations have reached a positive conclusion and you are happy to accept an offer, you will need to instruct a property solicitor / conveyancer. Wonderlease will be happy to recommend local solicitors that have worked alongside us in the past. Once a solicitor / conveyancer has been instructed, Wonderlease will then issue a memorandum of sale detailing the specifics of the sale and forward a copy to all parties. Your solicitor will send out a draft contract to the buyer's solicitor so they can undertake the necessary enquiries and arrange a survey on your property if necessary. You have our reassurance that Wonderlease will help you throughout the progression of your sale by keeping you informed every step of the way. When the contract has been signed by both parties, the deposit has been received and the solicitors are satisfied everyone is ready to proceed. Your completion date will normally be set at this stage, around 2 - 4 weeks after the exchange. Now would be a great time to begin packing and instruct a removals company. Completion occurs when the balance of the monies are paid to the sellers solicitors. Once the seller’s solicitors have confirmed receipt of funds, they will authorise Wonderlease to release the keys to the new buyer. Before you leave remember to take meter readings and re-direct your post.